Empire furniture is also called as the neo classical; it is the furniture models that bring out the classical styles. The Empire furniture first appeared in France after the Revolution, in the early or 19 century, when Napoleon ruled the country. 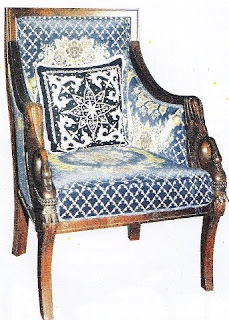 Napoleon revived the glorious of the classical furniture but with the spirit of nationalism of French. It was showed with the presence of N as the symbol French nationalism of at the most of French Empire furniture. French empire generally is simpler than the Louis furniture with more masculine impression. The mahogany wood was used as the main substrates. The less caved but more veneer inlay and high sheen used as decoration used. The plain surfaces were decorated with inlay veneer, brass and ormolu. The ornament motif can be animals, flowers, lyre, or the symbols in Greek, Egyptian or Roman mythology. Some ornament depicting military symbols as: shields, swords, arrows and torches were also found in Empire furniture that might describe the atmosphere of war at that time. 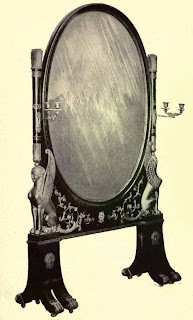 Neo Classical furniture was continued in other countries, with the model according with the grandeur at each region. 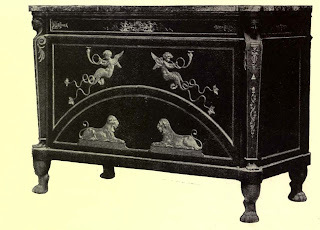 In Italy, Empire furniture adapted the glories of the Roman Empire. In the United Kingdom, Germany, and the United States, the Empire style was adapted to local conditions. These empire style furniture pieces are truly classical. Viewing them help me remember dynasties. They look like they have a lot of stories to share. Take the empire style sofa, for instance. I could imagine a majesty comfortably seated in it.